Organic vs paid social media. Organic social media is the use of social networks like Facebook, Twitter, YouTube, Pinterest, Instagram and Snapchat along with the use of free publishing tools like Hootsuite and Buffer to build a social community and interact with it – publishing posts, sharing others’ posts and engaging in conversations and comments. Paid social social is paying any of these social networks to boost the reach of posts, display ads and videos or sponsor messaging. 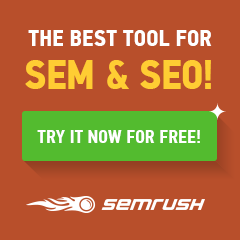 Paid social media is charged on a cost-per-click (CPC) or cost-per-thousand (CPM) basis. Measurements showing the path to conversions, transactions and sales are also used. The social media landscape is constantly evolving. Which one to use? Why? What is right balance? To understand organic vs paid social media, here are 12 myths vs realities. SOCIAL MEDIA IS ABOUT CONVERSATIONS AND CONTENT: Myth. Yes, it is but it’s also about commerce. Research from Crowdtap revealed 64% of 3,000 people surveyed use social to find inspiration for shopping (up 51% vs. prior year). Nearly half (46%) of social media users are already using social platforms while thinking about making a purchase. 40% of users are actively deciding what to buy based on what they have seen on social media platforms, including reviews and recommendations. This is set to grow. AS MY SOCIAL FOOTPRINT GROWS, SO DOES ORGANIC SOCIAL MEDIA REACH. Myth. Organic Facebook Reach has been on a steady decline. EdgeRank chronicled the decline. From 2012 to 2014, it went from 16.00% to 6.51%, a 60% decline. The studies showed brands that struggled to engage their audience, when measured against brands with “Social DNA” were hit the hardest. LARGE BRANDS WITH LOTS OF LIKES HAVE GREATER ORGANIC SOCIAL MEDIA REACH: Myth. According to a Social@Ogilvy analysis of more than 100 brand pages, Ogilvy also concluded Facebook organic reach hovered at 6%. For large brand pages with more than 500,000 Likes, organic reach hit 2%. Facebook sources were unofficially advising community managers to expect it to approach zero in the future. ORGANIC IS MORE EFFECTIVE THAN PAID BECAUSE IT’S MORE AUTHENTIC: Myth. Paid social media is believed to be more effective than organic for nearly 60% of social media marketers in helping their business achieve its goals, according to recent research from Clutch. Some 59% of respondents say they agree with the following statement: “Paid social is more effective than organic social.” Some 33% of respondents are neutral about that statement, and 8% disagree with it. Plus, 45% of marketers planning to increase spending on paid social this year according to a study from SocialCode and the CMO Club. MOST COMPANIES USE EITHER ORGANIC OR PAID ONLY SOCIAL MEDIA: Myth. The great majority of companies us both. According to the Clutch study, 86% of B2B and B2C marketers use both paid and organic social media. THERE ARE FEW LARGE COMPANIES THAT USE ONLY ORGANIC SOCIAL MEDIA. Myth. 13% of larger companies only do organic social media according to Clutch. SOCIAL MEDIA LISTENING REQUIRES ONLY ORGANIC SOCIAL MEDIA: Reality. Organic is ideal for community management. You don’t need paid campaigns to listen to what people are saying about you. It’s always a good idea to listen and monitor mentions and conversations about your brand to guide any social media activity or plan. ORGANIC SOCIAL MEDIA IS EARNED MEDIA: Reality. Just like organic search, the benefits gained from organic social media such as Likes, Followers and Advocates are earned and not likely to go away in the near term. With paid social media just like paid search, the benefits are likely to be there as long as you keep paying for them. SOCIAL MARKETERS HAVE TO ENGAGE GROUPS OF PEOPLE BASED ON SHARED INTERESTS AND PASSIONS: Reality. Regardless whether you’re thinking organic vs paid social media, targeting to people with shared interest and values is a requirement of both. And is the way build an audience, relationships and conversion activities. Hashtags, for example, are equally appropriate for organic and paid social media messaging. 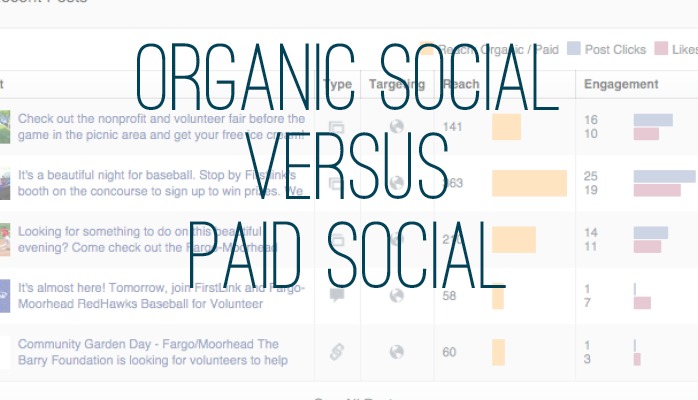 COMBINED ORGANIC VS PAID SOCIAL MEDIA DELIVERS BETTER RESULTS: Reality. In a case study for Castrol Motorcycle Oil, the first phase involved an organic social media marketing campaign for six months. It delivered 5,000 Fans, a good level of organic growth and 26,000 social interactions showing great engagement potential. But Castrol was focusing on North America and only 20% of the audience came from the U.S. When paid social media was added, this hiked up the number to 36,000 Fans and 140,000 social interaction and 50% came from the U.S.
SOCIAL MEDIA REQUIRES A STRATEGY AND MEASUREMENT PLAN: Reality. As the Castrol case study showed, organic social media helped develop a strategy for a combined effort and measurements guided success. There is no generic formula to determine the right balance of organic vs paid social media. But a strategy and measurement plan leads you to one. TESTING HELPS ACHIEVE THE BEST ORGANIC VS PAID SOCIAL MEDIA BALANCE: Reality. Response on social media in general is almost instantaneous. In as little as a couple of days, paid social media can be tested. Variations to ads and messaging can also be tested. A small investment in time or money generates a large amount of learning very quickly in social media. Does this help you understand the use of organic vs paid social media? Does your company need guidance to help identify the right combination for your business? Great post Rob. Thanks for sharing these facts. I was wondering, which social media platfrom do you recommend we utilize and focus to earn organize reach?